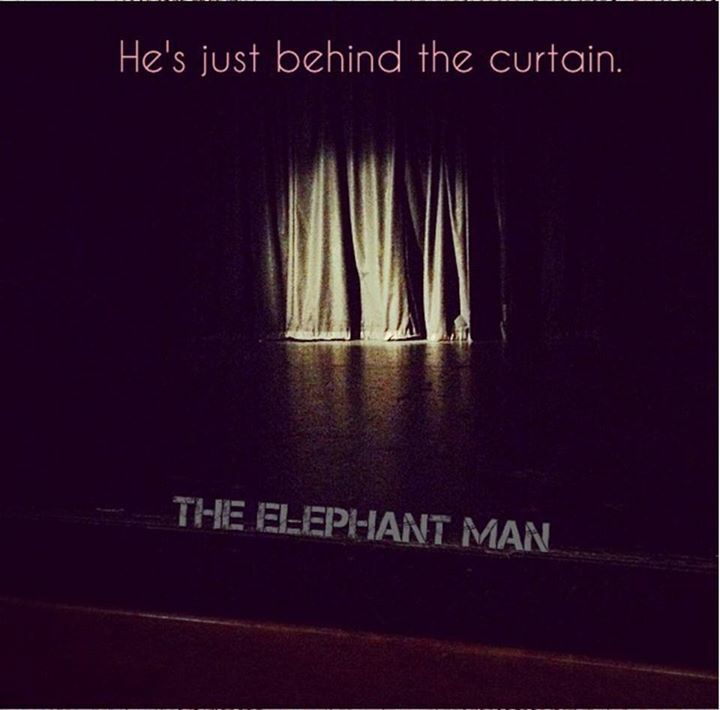 A Review of "Elephant Man"
The King’s Players debuted “Elephant Man”—their first off-campus production—on Friday at The Crown Theater in New York City’s Theater District. Dorea Slagle, the group’s Artistic Director, directed the play. It features a variety of familiar faces—Rachel Kyle, Zac Owens and Carrie Orteza, to name a few—as well as performances by new students at The King’s College. The production takes place in a small theater on 44th St. Viewers walk up a narrow red staircase to the second floor. At the top of the stairs is a small, dimply lit bar where a member of The King’s Players is taking admission payments. The bar is operating, but it’s cash only. After paying, viewers navigate their way down a winding red hallway to a small theater. The theater is (you guessed it) red, with fairly comfortable chairs and a simple black stage. It is a very different environment from what fans of The King’s Players are used to. Even though the venue is small, it lends the production a sense of legitimacy. The show, which is set primarily in London, opens with a recorded narrator telling how John Merrick (the “Elephant Man”) ended up working in a circus because of his extreme physical deformities. It then shifts to the stage, where the audience is introduced to Car Gromm and Fredrick Treves, played by Campbell Sinnett and Lincoln Westcott respectively. These men work at London Hospital, and will eventually be very involved in the care of John Merrick. This scene doesn’t just introduce key characters; it is also the beginning of a theme that runs through the entire show and is a large part of what makes it worth seeing: an impressive amount of first-year talent. As Dr. Treves, Westcott is one of the driving emotional forces throughout the whole play. He transitions from a young and ambitious doctor to a man disillusioned and tormented in the midst of his success, never losing his grasp on the character or his fake British accent. Westcott is joined in the cast by transfer student Kaleb Batman. Batman takes on two characters. The first is a menacing, possibly deranged circus manager in Belgium. The second is a devout priest sharing his religious convictions at London Hospital. Batman manages to convincingly pull off both characters, and is a nice presence onstage throughout the play. Kristin Pender rounds out the trio of new students who are given significant stage time (others make appearances at various points in the play). Pender plays Mrs. Kendall, the confident and successful actress who becomes one of the Elephant Man’s first friends. Pender is charming and confident, with the stage presence of someone who obviously knows what she’s doing. One of the best moments of the show comes during her first appearance, when the play’s blatant critique of 19th century British society takes on an unusual subtlety as Dr. Treves makes a series of statements about being an actress, which Mrs. Kendall subversively and winsomely claims are just the characteristics of being a woman. Not to be outdone, sophomore Zac Owens—playing the lead, John Merrick—gives his best performance yet with The King’s Players. Owens had prominent roles in both of the Player’s full-length shows last year, as the lord of the Underworld in “Eurydice” and Mark Twain in “Twilight of the Gods.” In the past, he has been noteworthy for his humor and riveting stage presence. In “Elephant Man,” Owens leaves humor behind and embraces the world of an immensely pitiful man whom the audience can’t help but feel for. He limps around stage with a cane and a tortured scowl. At times he is scared, at times he seems a bit deranged, and for a little while he is even happy. Whatever the character is feeling, Owens makes sure that the audience feels it as well. There are some lackluster performances as well, and The Player’s move to an off-campus venue comes with some growing pains. Director Dorea Slagle is working in a more confined space than the group is used to. At one point the actors line up in such a way that they seem to completely block the view of people sitting at one edge of the audience. I was sitting in the front row, center stage, and I regularly had to move my legs out of the way so that actors could get by me. But I would gladly risk getting my toes stepped on in order to see a show somewhere more exciting than the City Room. The King’s Players took an ambitious step forward when they decided to move their production off-campus. It seems to be working out pretty well.